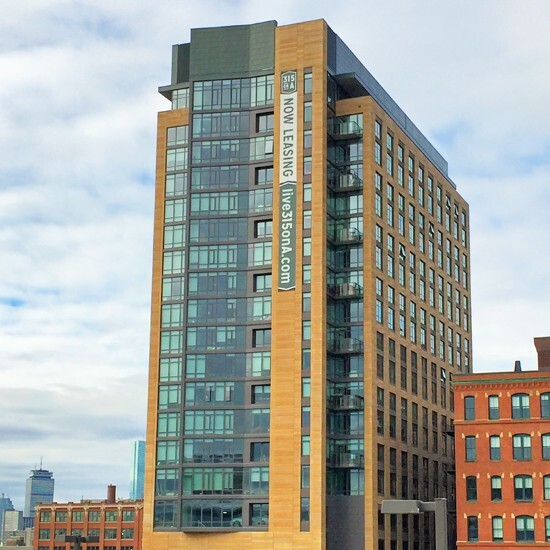 Located in Fort Point Channel in Boston’s burgeoning Seaport District, this 21-story, 202-unit tower was completed in November of 2013. 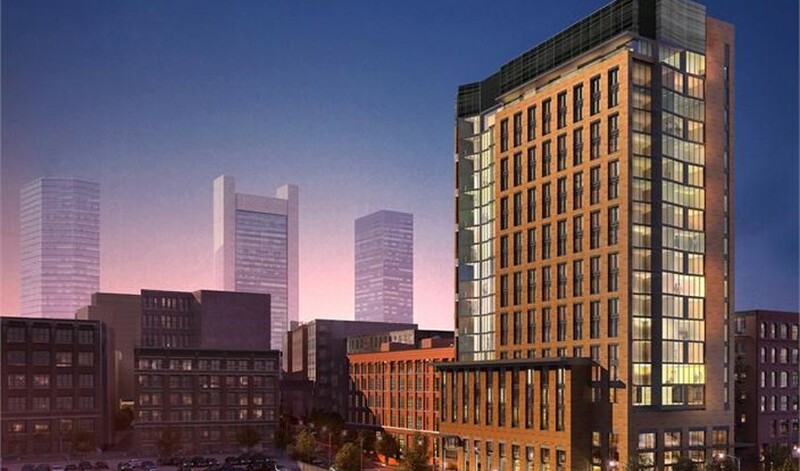 The building features four levels of parking, a variety of unit types, and numerous amenities including lounge areas, a fitness center, and a roof deck. Sunrise’s scope of work consisted of about 20,000 square feet of metal panels cladding this 21-story tower. The project included both zinc flat lock panels and a composite aluminum rainscreen system. Sunrise installed all materials outboard of the sheathing, including AVB, primary and secondary furring systems, exterior insulation, and the finished panels.